Fintech has taken the world by storm with Switzerland emerging as a leader, establishing itself as a catalyst for financial innovation on a global level. According to Michael Page, 10% of all global European fintech enterprises are located in Switzerland, with 46% of them located in Zurich, one of the new fintech hubs in Europe. The Blockchain Summit promises to be an exclusive, curated, high-impact, informative and thought-provoking summit presented by some of the world’s foremost innovators, change makers and prominent leaders in the blockchain and crypto ecosystem. This summit is set to bring the latest developments in the blockchain sector, with an in-depth focus on crowd token sales. Topics to be covered include blockchain technologies and markets, digital exchanges, cryptocurrencies, smart contracts, legal and fiscal aspects of investing in cryptocurrencies, blockchain for banks, blockchain and the supply chain, and more. The primary focus of this event is to unite the brightest minds of these developing industries. Also, letting the most promising projects and startups learn about entering and changing the market and see how businesses and individuals would change the world around us by implementing blockchain and accepting crypto in their cashflows. Fintech is regarded as an innovative solution to the problems of the financial industry and is recording high growth rates. In addition to the presentation of the results of the annual IFZ Fintech Study, high-caliber speakers from companies such as Swisscom, Squirro, SEBA Crypto and Acrevis Bank will provide information on developments in the fintech sector. The presentations are in English or German, without simultaneous translation. The purpose of the Swiss Fintech Awards is to promote regional development while helping create the strongest possible Swiss fintech ecosystem underpinned by international network links. The awards recognize outstanding fintech startups and influencers with categories including Early Stage Startup of the Year, Growth Stage Startup of the Year and Fintech Influencer of the Year. The winners are chosen by a renowned jury consisting of a network of influential partner organizations and fintech experts. 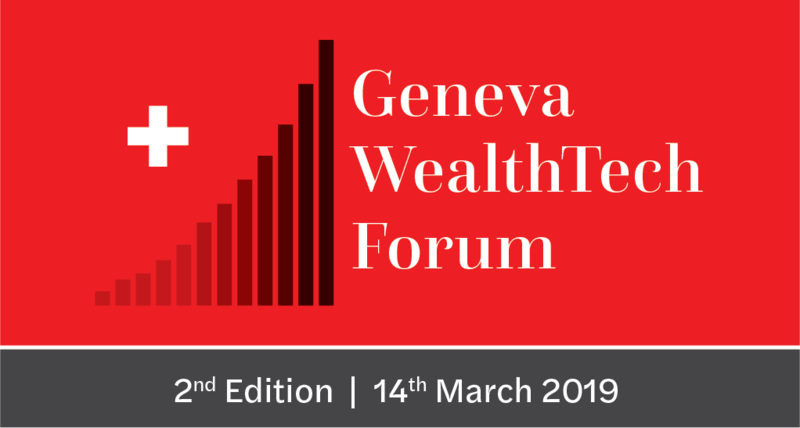 The Geneva WealthTech Forum (GWF) was created in 2017 on the basis of a private initiative. Quickly, this recurrent event received the full support of the State of Geneva (DG-DERI). The forum aims to showcase an emerging ecosystem called to gather in Geneva all stakeholders of wealth management and new technologies, namely banks, asset managers, family offices, investors, VCs, incubators, mentors and startups. START Summit is one of Switzerland’s leading conferences for entrepreneurship and technology. The conference focuses on creating an environment of inspiration and idea sharing for a brighter, more innovative future. START Summit 2019 is set to gather 2,500 leaders, visionaries and young minds for a thought-provoking event. Topics covered will include artificial intelligence, augmented and virtual reality, blockchain and the Internet-of-Things (IoT). Confirmed speakers include representatives of the likes of Scalable Capital, Proxeus, Dfinity and Accenture. On March 26, 2019, the first finance and industry forum “Blockchain in Financial Services” will take place at the Swiss Re Center for Global Dialogue in Rüschlikon. The conference will show how financial services providers can harness this disruptive technology and integrate it into their day-to-day business. Concrete application examples from various industries are presented. 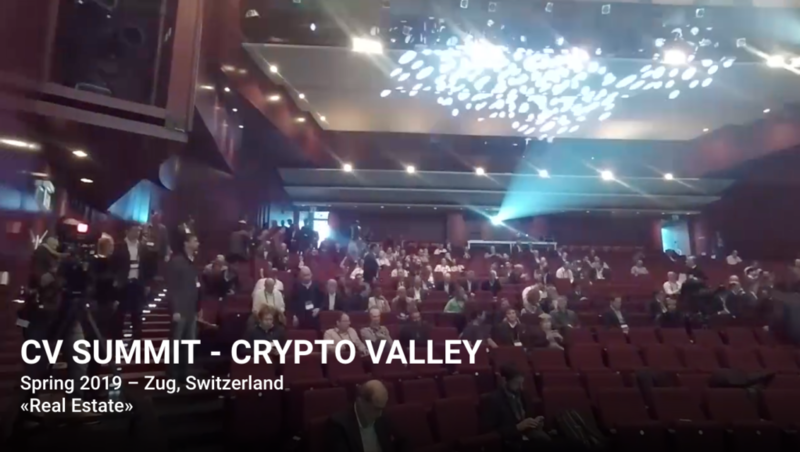 Twice a year the blockchain community comes together at the CV Summit, formerly known as the Blockchain Summit – Crypto Valley. On March 17, 2019, the 4th gathering will take place at the Casino Theater in Zug. Held in the heart of the Crypto Valley, the CV Summit will be a full day conference filled with panels and keynotes and fireside chats focused on the intersection of enterprise and startup approaches to building new things with distributed ledger technology (DLT). It will bring together innovative startups and cutting-edge corporations using DLT in a multi-industry themed event highlighting the synergies of the rapidly evolving landscape. The CV Summit will also be the culmination of the CV Competition for Real Estate. Decentralization, disruption and development of the real estate sector through blockchain technology will be at the center of the event. The CV Summit is part of the CV VC ecosystem. Startup Days 2019 will take place on May 28, 2019 and will bring together startups, investors, corporates and academia to explore deep tech. The event will also feature a pitching battle with five areas of focus: fintech, autonomous systems, healthtech, sustainable tech, and content and channels. The Swiss Digital Finance Conference 2019 aims to serve as a network and exchange platform where players from the Swiss financial sector discuss the future of their industry. The conference will bring together the classic financial world and the new challengers from the digital age. 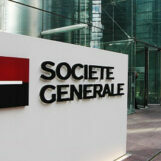 It will give the audience an overview of the latest technology trends and how they affect the financial sector. Participants will get to know the digital possibilities and tools of the next generation. 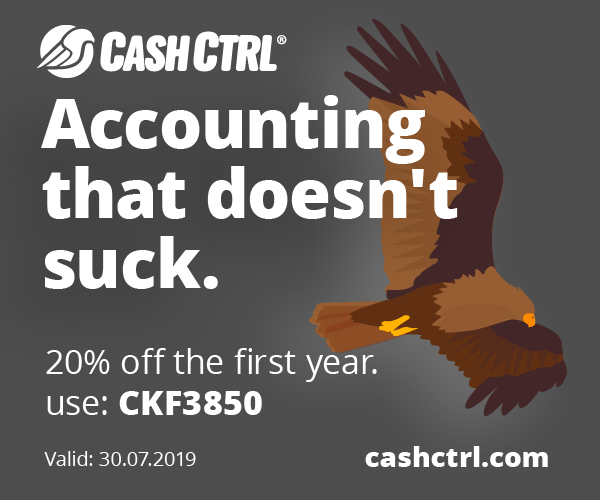 Topics to be covered include mobile payments, cryptocurrencies, robo-advisors, artificial intelligence, digital transformation, e-commerce, and more. 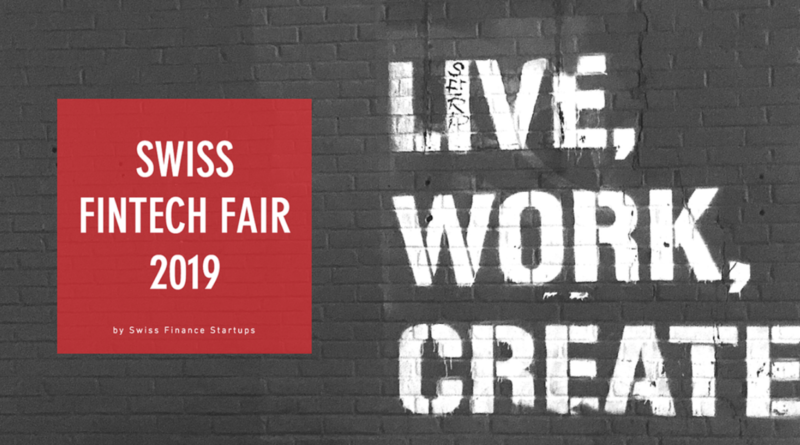 On October 16, 2018, Swiss Finance Startups organized Switzerland’s first ever fintech fair in Zurich. The event was a great success and exceeded expectations. 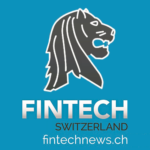 The Swiss Fintech Fair will be coming back this year. The Swiss Payment Forum will take place for the 7th time on November 11 and 12, 2019. 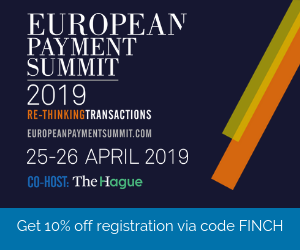 The event will feature exciting presentations and targeted networking sessions with an expected number of 150 decision-makers from the payment industry, commerce and science. Experts will discuss the latest national and international trends and developments in the payments space. Topics to be covered include digital identities, wearable payments, retail, digital payments, APIs, and more. 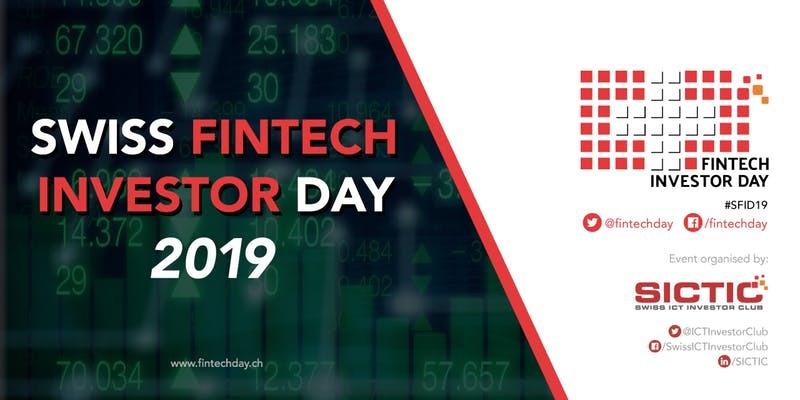 The Swiss Fintech Investor Day is a matchmaking event where fintech startups selected by a jury pitch to find experienced smart money investors. It is set to be the largest fintech investor event in Switzerland, gathering over 250 attendees from all over the world. The event is intended primarily for angel investors, family offices, venture capitalists and corporate ventures that want to invest in fintech startups and also for aspiring angel investors that can learn from the sessions provided before the pitching sessions.